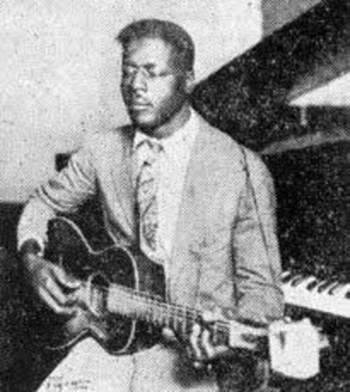 Blues legends don’t get much more legendary than Blind Willie Johnson, whose recordings in the 1920s of songs like “John the Revelator”, “It’s Nobody’s Fault But Mine”, and “Keep Your Lamp Trimmed and Burning” have inspired versions by everyone from Hot Tuna to Warren Haynes to Led Zeppelin. So it’s more than fittin’ that Chicago-based blues label Alligator Records announced today that next year it will release an 11-track tribute to the artist titled God Don’t Never Change: The Songs of Blind Willie Johnson. The lineup of musicians performing on the album–which will be released on vinyl as well as CD–is mighty impressive. Speaking of wicked slide-guitar, Derek Trucks will attempt to do Jorma Kaukonen one better with “Keep Your Lamp Trimmed and Burning”, which also features his wife Susan Tedeschi on vocals. “I never heard a slide player, even to this day, play with that much emotion,” says Trucks in the Alligator press release. “I’ve only heard a few things that have hit me quite that strongly. There’s something so honest about his recordings.